While travelling on aeroplanes, talking about mobile phones and using the data will end now. 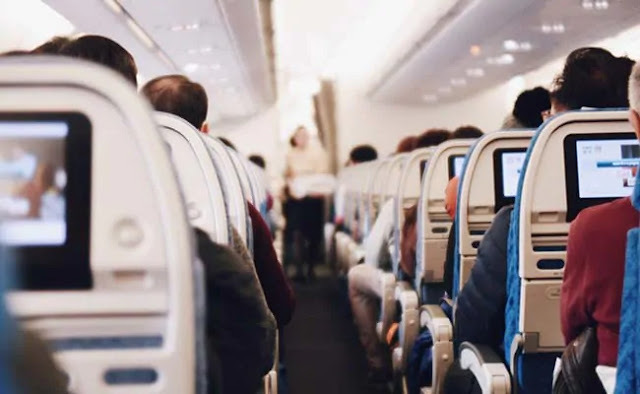 The Law Ministry has approved the guidelines of the telecom department on these in-flight connectivity India. The Department will notify the instructions of these flight connectivity within two weeks. After issuance of the notification, airlines will be provided access to these flight connectivity in the country's airspace. At the beginning of the in-flight connectivity service, customers will be able to surf the internet only. There will be some restrictions in providing services now. The Department of Telecommunication also asked to use the country's system keeping in mind the security. The height of the sea level and the ground has also been agreed on the aircraft above 3,000 thousand meters. About 30 foreign airlines provide these flight connectivity to many countries other than the Indian airspace. These are AirAsia, Air France, British Airbase, among other airlines, which are facilitating these flight connectivity. However, due to the lack of clear guidelines and operational rules in relation to the Indian airspace, these flight connectivity services are closed. It is notable that after the recommendation by the telecom regulator, the government will ensure the process of giving these flight connectivity services to the customers and the bigger one. Earlier, the Telecom Commission approved the recommendation of TRAI. In view of security, the use of satellite of India has been decided. While this rule is against TRAI's recommendation in which the use of foreign satellites and gateways was recommended to provide these flight connectivity services. But the Telecom Commission rejected the experiment.